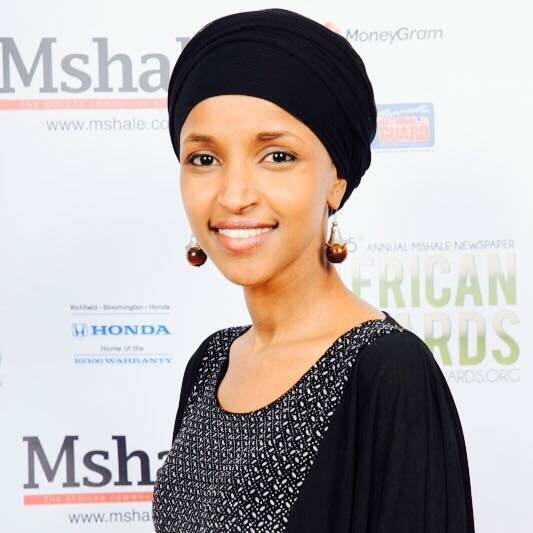 Ilhan Omar, DFL activist and Director of public policy initiatives at Women Organizing Women (WOW) Network, announced her candidacy for Minneapolis House District 60B in October. Should she be elected, it will be a historical win, making her the first woman from the Eastern Africa region to be elected to statewide office in the United States. Omar said in an interview with Mshale that she is ready to speak to the public about controversies surrounding her candidacy and the reason why she is running for office against her DFL opponents, Mohamud Noor and Rep. Phyllis Kahn. Kahn has represented the area since 1972 and is the longest serving Minnesota lawmaker. 60B, a predominantly Democratic district, includes the Cedar Riverside and Seward neighborhoods, home to a large Somali community, in addition to Nicollet Island, Prospect Park, Marcy Holmes and the University of Minnesota Minneapolis campus (home to Carlson School of Management and the U’s law school). Omar will now face off her fellow DFLers, Noor, last year’s returning challenger against incumbent Kahn. Many in the community have been wondering why Omar is running against Noor when she publicly and vocally supported his campaign last fall. Omar contends however that she was a neutral representative of the DFL party during the 2014 caucus, one that erupted into violence leaving Omar with multiple injuries. “I did not support Noor after the convention was over,” she said. She says she supported Noor because she wanted to see change. She thought Noor was the change for House District 60B. “I am now running because I don’t see that urgency from him or from the other opponents anymore.” Omar said that she considers herself a “bridge-builder”. “I got tired of wishing for that perfect candidate. I got tired of having conversations with people on what is really important,” she said. Omar said she stopped rallying behind political campaigns and decided to run for office. “If you are willing to ask people of something, you should be willing to do, “she said with her trademark beaming smile. Omar said that she is not fond of conversations about how she shouldn’t run against Noor or vise versa. “I hear a lot of people say only one of you should run. I don’t advocate for such conversations, Omar said.” Omar said that she wants those with the negative mindset to know that she and Noor are not detrimental to their political race. Omar said that she is running a unique campaign and hope to use some of that uniqueness to attract people and to create relationships. “My campaign is fueled by students and even my children,” she said. Omar said that her little one doesn’t understand what her mother is doing, but her daughter who also has ambitions of being a politician plays many roles in her mother’s campaign. “My oldest daughter is my door knocking buddy. She is also my advisor,”she said. Ilhan Omar will kick off her campaign today (November 10) at the Mixed Blood Theatre in Minneapolis at 6pm. The address is 1501 S. 4th Street, Minneapolis, MN 55454. Editor’s note: We have a request out to the Mohamud Noor campaign for an interview and will publish it as soon as it is completed.